A recent analysis of Netflix’s culture fails to mention that none of the critiques should be news to Netflix employees. The Wall Street Journal’s recent critique of Netflix questioned whether the company could maintain its “winning culture” while growing at “breakneck speed.” The authors spoke to more than 70 past and present Netflix employees, many of whom said they felt the “Netflix way” was demoralizing, dysfunctional and even ruthless. They also addressed different aspects of Netflix’s culture, including the way people are let go and the practices around transparency. What they did not acknowledge, however, was that none of this should be news to Netflix employees. At Netflix, people are hired, promoted and fired according to a very clear-cut, explicit ethos, set out with clarity on the careers website and the company’s original 125-page culture deck. Released to the public in 2009, the deck has garnered over 18 million views on Slideshare. It’s inspired a wave of other companies large and small to follow in its footsteps and create culture decks of their own, outlining the specifics of their organization’s vision, mission, values, purpose and approach to topics such as hiring, promoting and firing. Comparing the original to the current deck, there are signs the culture has evolved while remaining true to its fundamentals. Of the nine “values” in the original deck, judgment, communication, selflessness and passion remain the same, while productivity, creativity, honesty intelligence and reliability have been replaced by impact, innovation, integrity, curiosity, courage and one more — inclusion. The comparison to a professional sports team is deliberate. Pro athletes are expected to train hard, perform at the top of their game, develop their skills and quickly learn from their mistakes. Nor do we judge a team manager when a player is cut. On the contrary, we understand that players always work in service of their team, and that their place on that team is contingent on how they perform. Yet, when it comes to business, we often have a slightly different attitude. Perhaps it’s a psychological relic, left over from the days when you did have a job for life, and would be able to stick it out even if your performance was under par. The Journal article reports that some at Netflix feel anxious in the company’s performance-oriented environment, and the journalists acknowledge that some may thrive in a high-performance environment, while others feel fearful and then bitter if they are let go, as reflected in some of the interviews. But again, employees know what they’re walking into: The website and slide deck make it extremely clear. 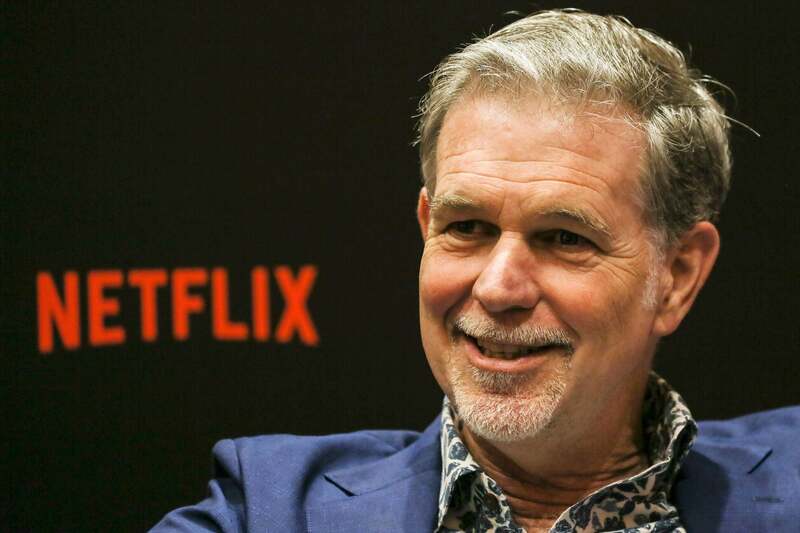 Netflix readily describes its own culture as oriented toward relentless excellence, candor and change. It is no secret that having Netflix on your resumé can open doors, and it must be tempting to overlook or somehow minimize the reality of what it is like to work there when interviewing for a role. Once in the environment, it probably is too blunt, direct and intense for some. But, that doesn’t make the culture wrong. It means that an employee’s decision to join the company, despite reservations, was wrong. Perhaps, collectively, we are not entirely comfortable with what I call “strong” cultures — cultures that are very explicit about being designed to attract type-A personalities who are oriented to achieve, and willing to work extremely hard, knowing that in response there will be a rewarding payoff. To return to the sports analogy, we are well aware that athletes do this, often pushing their bodies to the limits for years. When it comes to the corporate world, however, we do not seem to feel this is as acceptable. The risk, in criticizing strong organizational cultures, is that we create a kind of whitewashed culture in which people and companies are judged if they work hard — including in cases such as Netflix, which is, to hammer the point home, extremely open and transparent about how it operates. Unlike many other companies, Netflix honestly tells the truth about how it operates. It does not claim to have the secret to the best culture, but it is very clear on what its culture entails. It exists to pursue excellence, and can perhaps be perceived as ruthless about that – but nobody enters the organization unclear about what working at Netflix demands. There is no hidden agenda here: Everything is laid out and is crystal clear. Perhaps Netflix could become better at recruiting people who are a good fit with the values and minimize hiring people who are not? At the end of the day though, the people who join the company are adults and based on all the information freely available to them, they should be able to make an informed decision.